Here’s my “Freaky Friday Fashion” pic for the week. She looks like a disgruntled fashion student seeking revenge on her fellow designers and instructor. Who knows? 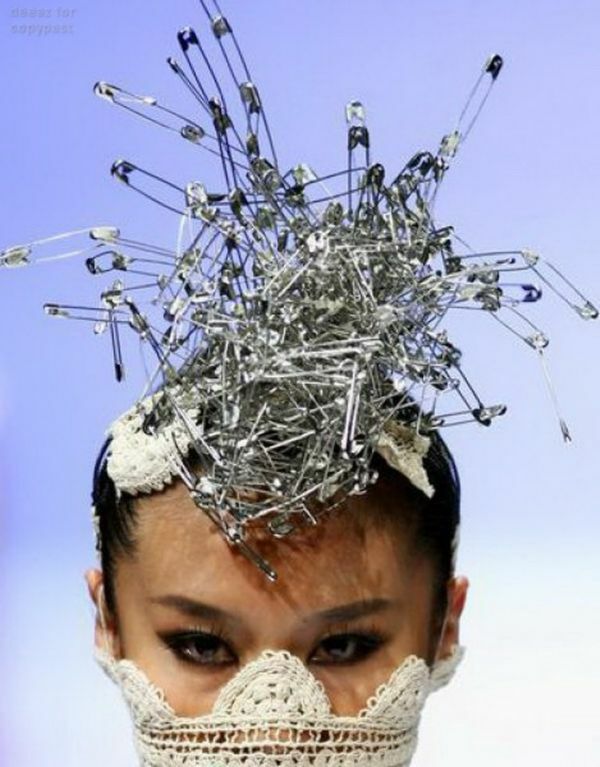 Either way, it’s a good way to recycle those random safety pins you have lying around.